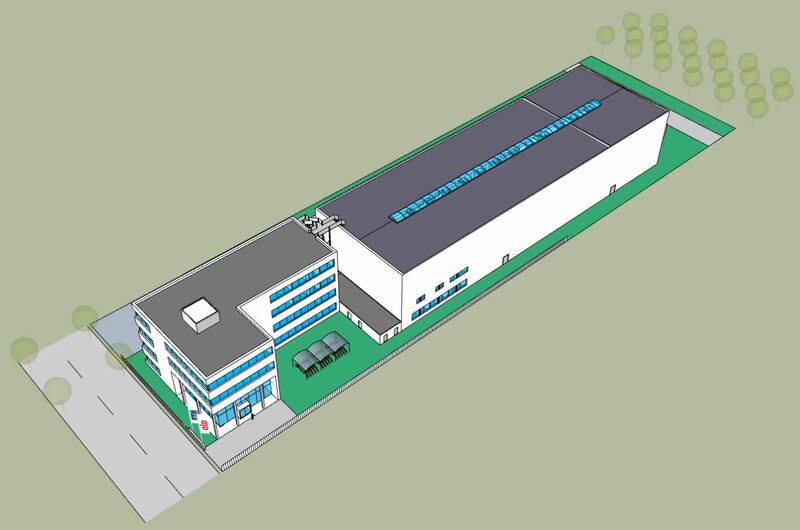 ALD Vacuum Technologies is to expand its plant site in Hanau with a new office building featuring 2,500 m2 of office area and a 2,000 m2 technical centre. The move into the new buildings has been planned for the end of 2019. These new buildings will substantially relieve the space issues at the company headquarters in Hanau. In spring 2016, ALD relocated from the Heraeus site in the centre of Hanau to the Fraunhofer Science Park in the urban district of Wolfgang, Hanau. In the summer of 2017, a new warehouse and office building were added, and sections of the company which had until now been located elsewhere could then be reunited with the company headquarters. But today, these areas are insufficient for the staff of 500 meanwhile employed at the Hanau location. The ALD Research and Development Centre, which up until now was located in one of the assembly halls, has now been rehomed in the new technical centre – especially equipped for the development of future-orientated systems. In future, our development engineers will work in the new offices annexed directly onto the hall. Due to this direct proximity of the engineers to the systems, the development times including the construction of the machines, commissioning and test runs can be significantly reduced. As in the past, ALD is once again working with its tried and tested partner Dietz AG in order to implement the company extension. Dietz AG is the property owner, and has erected all the ALD buildings in the Fraunhofer Science Park. Subsequently, it rented these buildings out to ALD long-term.